Learning doesn’t happen in a vacuum. It builds on what was done before — or does it? 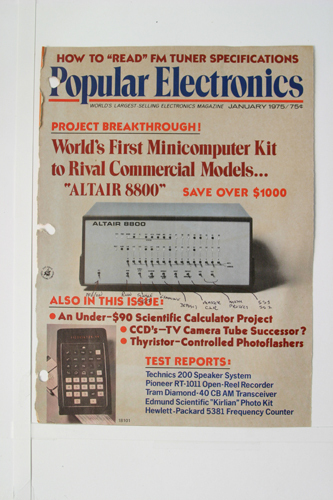 Some of you may remember the announcement of the first microcomputer kit, the MITS Altair. Others hark back to visiting the computer lab at the Boston Children’s Museum on the US east coast or the Lawrence Hall of Science on the west coast. The more geeky (now) old folks might have been among those who begged for access to their school’s administrative computer so that they could type in BASIC language games or educational simulations. In the late 1960’s and early ’70’s these were among the only ways to get your hands on a computer. Most people had no idea what computers were, how to operate or program them or, most important, what impact these machines would have on our daily lives 5, 10, 20 or 40 years in the future. A few of us were concerned that those who didn’t learn to take control of computers would be controlled by them — or, more accurately, controlled by the people who controlled the computers. Fast forward about 40 years. “I can’t do that, the computer won’t let me,” says the customer service representative. How many times have your heard that one? And how many customers have the knowledge to retort: “Who is in charge here, the people or the computers? The computer is totally neutral. Behind it is a responsible person who specified how the programmer should make the computer respond. That’s the one I need to talk to. Many early educational technology theorists were concerned with what both children and adults needed to learn about computers so that they couldn’t be tyrannized by the hidden person behind the machine. In my opinion, the road taken by computer educators led us to the subjugation of students by teachers hiding behind computers – teaching via computer very effectively and to a vastly increased audience – but teaching the same old things. Today’s much vaulted e-learning makes the masses more vulnerable to intimidation by an elite oligarchy of managers at the top of large organizations, both for profit and nonprofit. The microcomputer, which I originally saw as a Trojan Horse that was infiltrating teacher-centered classrooms and fomenting creative problem solving, has been co-opted. How did this disaster happen? Bigger, faster, better-programmed, little computers – those same machines that help us accomplish so much and keep us amused every day – may be turning us away from independent thinking and the sense of self-determination that is so necessary for the effective democratic citizen. There’s no evil actor here. The passionate programmers that turned the early, print-out based simulations like Oregon Trail into fancy video games didn’t intend to take the most valuable lessons out of the learner experience. The colleges that grant computer science degrees to students who are marginally proficient with a narrow collection of business application programs don’t intend to be misleading either their graduates or potential employers. But don’t take my word for it. 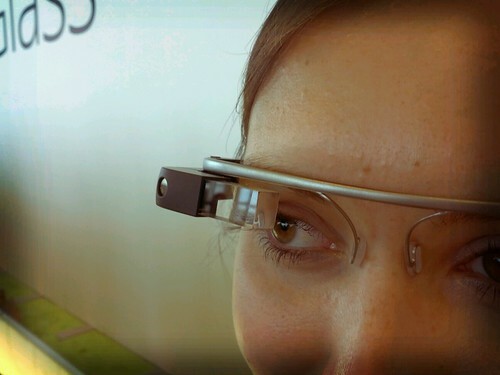 Explore the world of learning through and about computing for yourself. Oh. You can’t find anything about computing education from 40 years ago? That’s because we didn’t have the world wide web and the information you seek isn’t online – yet. HCLE is putting it there. As we build this online museum you will be able to compare the first versions of “Oregon Trail” (or 101 other educational computer games) with their later implementations and see whether the subtle learning transmitted by using the game has changed over the years. While you’re enjoying the game aspects of these materials, our curators can suggest questions to stimulate your thinking about what kind of learning you want for yourself and the children you know. Who needs this? You do as you find your personal path through our modern world of life-long learning. Educators (administrators, teachers, curriculum designers) need to know that there are many alternatives to video-game-like programs that will engage learners in subject matter relevant to modern work and play. Citizens need to discover that knowing how to program computers gives them a better basis for making public policy decisions and holding their legislators accountable. And besides all that, history is fun, quaint, amusing and thought-provoking. That’s why I think we need this virtual museum.